Light Messages Publishing, 9781611531473, 314pp. 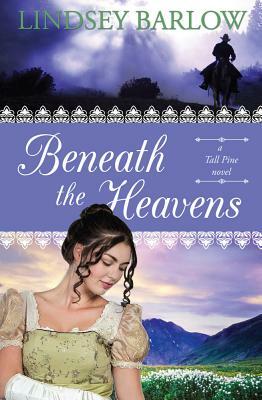 When the beautiful and coddled Abigail Silvers is sent from her parents’ lush Texas ranch to the untamed wilds of Tall Pine, Colorado, her mother is hoping that Abigail will learn independence and self-reliance. What Abigail finds among the Colorado mountain people is a community built on hard work, faith, and family––she also finds the handsome Pastor Will who, much to her dismay, seems only to have eyes for Esther, the community’s midwife hiding from a dark past. Fiercely protective of her young son Michael, Esther’s determined not to let anyone ­close enough to hurt them––even if that means sacrificing true love. But when the Texas Ranger Joseph Silver, Abigail’s brother, shows up, Esther’s past is unearthed and her heart is exposed. Abigail and Joseph’s brash Texas manners rattle the people of Tall Pine, but ultimately the brother and sister may be an answer to prayer the townspeople didn’t know they needed. Lindsey Barlow’s inspirational debut introduces readers to a rich cast of characters and picturesque scenery that will leave readers falling for Tall Pine. Lindsey Barlow has a Bachelor of Arts in Humanities and Religious Studies from California Sacramento State University. She has traveled throughout Eastern Europe as a missionary teaching English and serving those in need. She has worked in the Saint Petersburg Hermitage Museum and has visited the Mayan ruins in Mexico. When Lindsey is not writing, she enjoys discovering new bookstores, going on hikes with her children, and pretending she knows how to sew. Lindsey resides in northern California with her husband and children in a house with too many books.